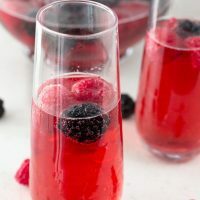 Valentine’s Day Sparkling Sangria will give your romantic day extra sparkle, or will give you and your single girls something to giggle over as you swap dating war stories. Bottoms up! Valentine’s Day is almost here… For many of you that means flowers, chocolates, and spending the night with the one you love. 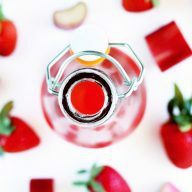 For me, it means a heaping double-batch of this sangria and most likely some girlish foolishness, along with a little chocolate and a whole lot of reliving the horrifying dates we’ve all been on in the past year. Like the one who talked only about football the entire time, if you remember. There’s also the one who was ready to have me move in with him after two dates and the one who had zero personality. Oh and let’s not forget the one who didn’t smile for the entire date. That one still freaks me out; who doesn’t like to smile? I love smiling (finish this quote and I’ll send you a huge internet hug because you’re obviously my soulmate). Lord, the dating world is tough, huh? I’m just being real with you all. And since I’m being real with you, this sangria is THE Valentine’s Day drink you have to have on Sunday. Well, and Friday. Heck, Saturday too while you’re at it. 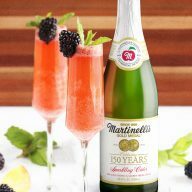 It’s sparkling, sweet, and tart so it strikes just the right chord for whatever you have planned this weekend to get the party started. 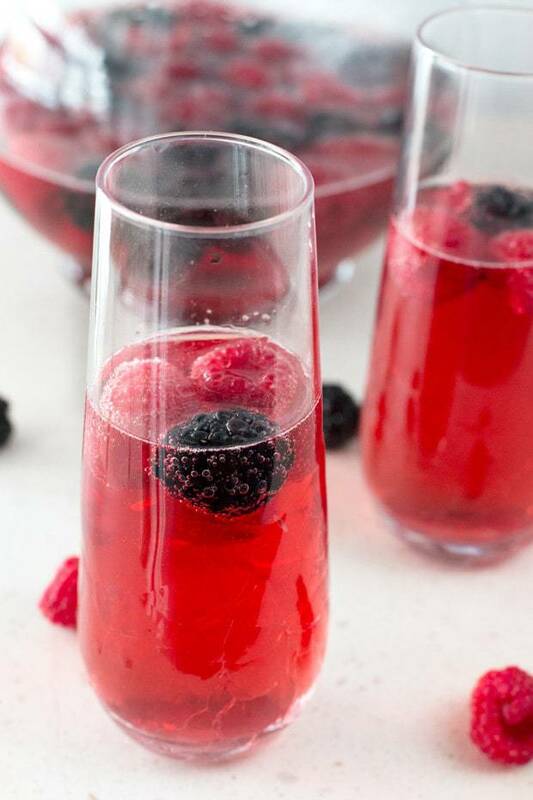 The berries and extra dash of vodka bring the whole thing together in every rich, red sip. 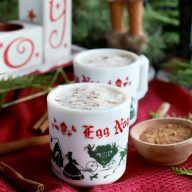 Drink it up with your boo in front of a warm fire or gather your best girls (or guys) around a ridiculous cheese spread! As long as you have a glass in hand, it’s going to be a good night. with cute little etched sayings that are fabulous! Lenox Tuscany Classics 48-Ounce Pierced Pitcher – I don’t have one YET but this is the #1 pitcher on my want list right now. This sangria would look BOMB in it! Purefold 12 Inches Bar Bartender Cocktail Spoon to stir things up with! 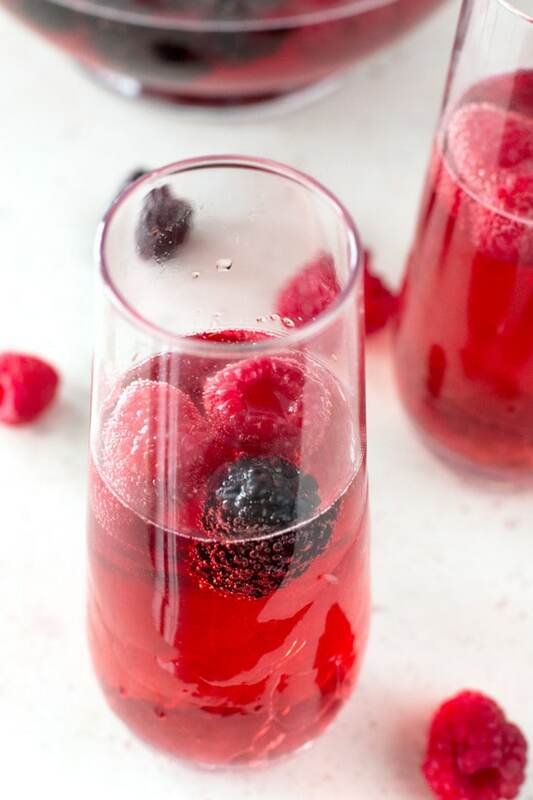 Pin this Valentine’s Day Sparkling Sangria recipe for later! 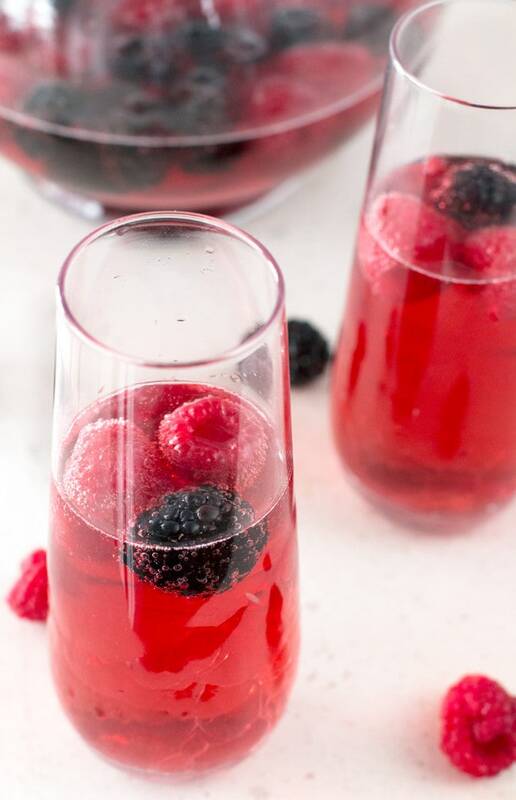 A sparkling rose sangria that really packs a punch so you can celebrate in style this Valentine's Day. Add vodka, berries, brandy, cranberry juice and simple syrup to a pitcher and stir to combine. 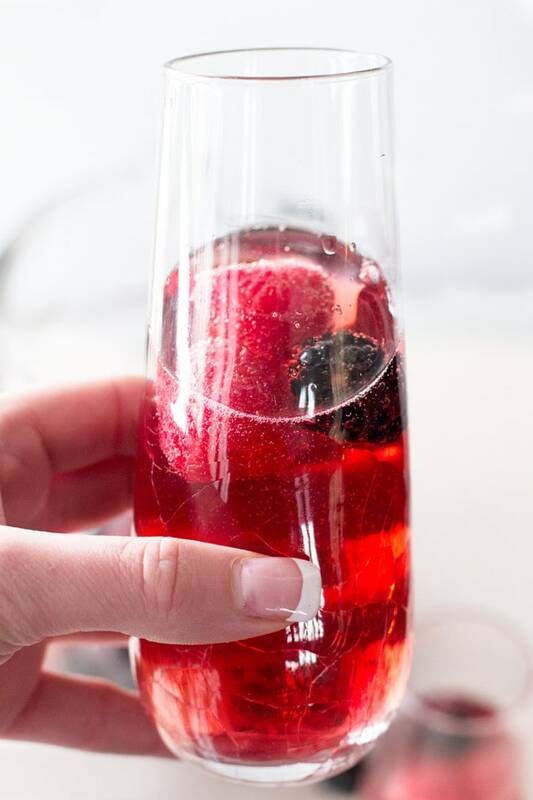 Stir in the sparkling rose when ready to serve.